In a borough largely ignored by NYC’s Landmarks Preservation Commission, the magnificent garden apartments of Jackson Heights are a happy exception. Today’s Jackson Heights is a neighborhood of handsome six-story co-operative apartments, most of which surround a central garden. They appeared — seemingly out of nowhere — beginning in 1914 when the entire area was not much more than a swampy meadow. The Queensboro Corporation and developer Edward MacDougall built now-landmarked housing along today’s 82nd Street; the area became known as Jackson Heights honoring John C. Jackson, who laid Jackson Avenue, now Northern Boulevard, out across the meadow beginning in 1859. The boundaries of Jackson Heights proper are fairly well-defined, from the Brooklyn-Queens Expressway on the west to about 90th Street on the east, and from Roosevelt Avenue on the south to the Grand Central Parkway (and LaGuardia Airport) on the north. 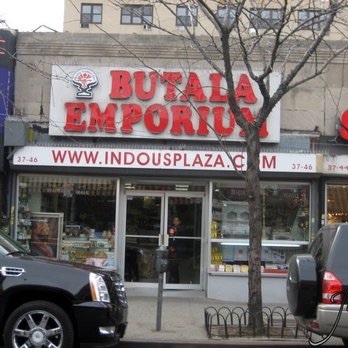 74th Street between Roosevelt Avenue and 37th Avenue contains New York City’s largest concentration of immigrants from India and Pakistan, and the stretch is famous for jewelry shops, the Butala Emporium (featuring imports and general imported goods from India) and restaurants like the Jackson Diner, 37-47 74th Street, popular for lunchtime Tandoori specials and buffets. Though truth be told I have always been a bit partial to Indian Taj at 37-25. Stop inside the Jackson Heights Post Office — a Georgian-style brick building at 78-02 37th Avenue — for a look at Peppino Mangravite’s 1940 mural, “Development of Jackson Heights,” depicting the farms of Jackson Heights before its early-20th Century development. 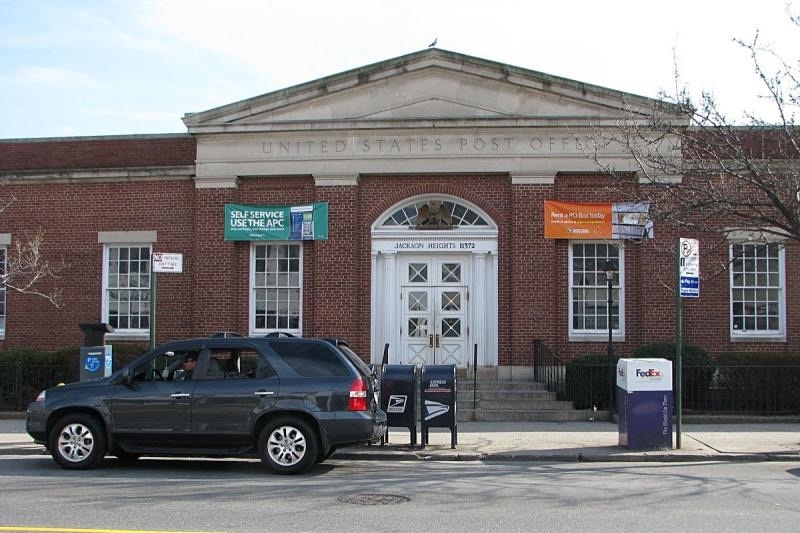 There are also extraordinary murals commissioned by the Depression-era Works Progress Administration to be found in the Woodhaven post office on Forest Parkway just off Jamaica Avenue, and murals depicting several Queens neighborhoods adorn the walls of the Flushing Post Office on Main Street at Sanford Avenue. The Queensborough Corporation, beginning in the 1910s and continuing on to the 1930s, also built a magnificent series of apartment buildings between 74th and 90th Street and from Roosevelt Avenue north to Jackson Avenue, now Northern Boulevard. The buildings boast vast inner courtyards (invisible from the street) and the complex once had its own golf course and tennis club. 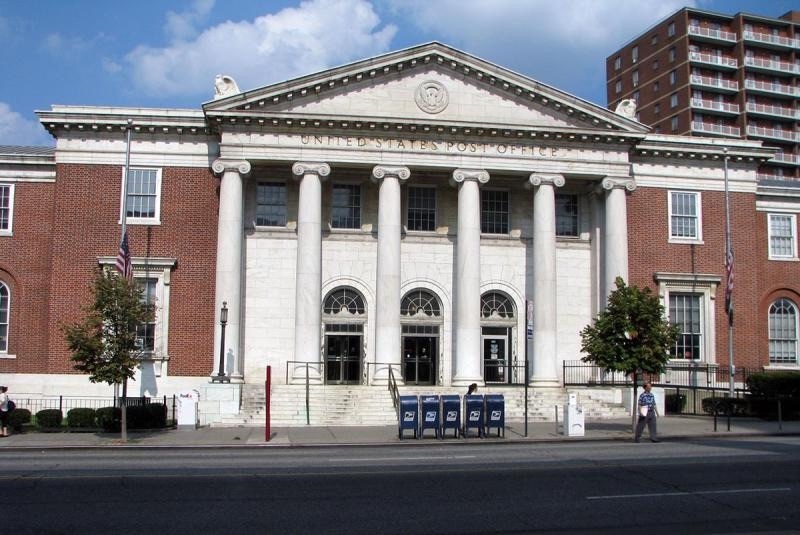 Though time and demographics have altered the buildings, they remain a NYC treasure and own well-deserved places as NYC landmarks. The Robert Morris Apartments, built in 1929 on the south side of 37th Avenue between 79th and 80th Street, still preserves what are probably its original molded doorways and cut glass facades. Jahn’s chain of ice cream “shoppes” once covered the NYC metropolitan area with a heady combination of lactose and sucrose. The first Jahn’s was opened way back in 1897 in Mott Haven, Bronx by John Jahn, which (disappointingly) is pronounced “John JAN.” His three children, Elsie, Frank and Howard, opened Jahn’s in Jamaica, Richmond Hill, and Flushing respectively. 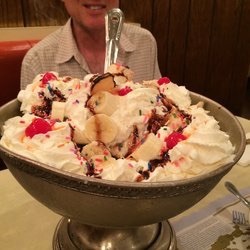 Jahn’s is most celebrated for its Kitchen Sink sundae, which is large enough to serve six. One — and only one — Jahn’s location remains: 81-04 37th Avenue in Jackson Heights. 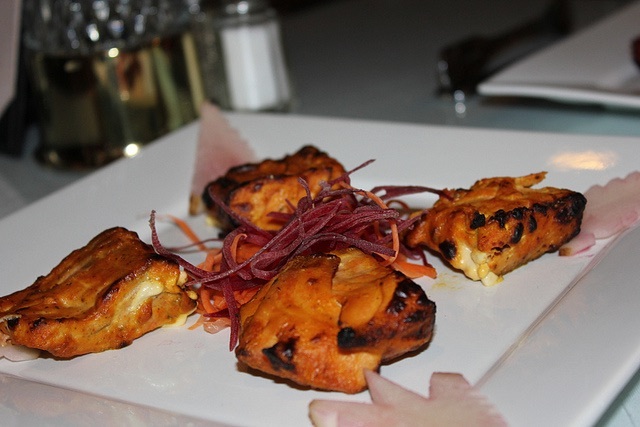 A Richmond Hill Jahn’s on Hillside Avenue near Myrtle remained in business until 2007. Unfortunately this Jahn’s does not contain the classic stained-glass fixtures and red leather seats that its Richmond Hill entry did — its interior is rather mundane. But the menu is still classic. 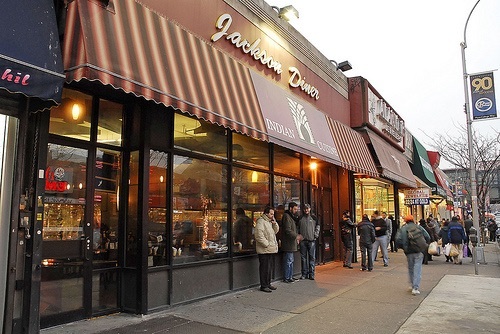 82nd Street is the major shopping street in Jackson Heights, along with 37th Avenue. If people look up for an instant, they’ll see what remains of English Gables, designed specifically for commercial traffic by architect Robert Tappan and completed in 1928. In the 1920s, 82nd Street first received bishop crook lampposts, and in the 1980s it was one of the first streets in NYC to receive “retro-crooks,” imitators that looked exactly like the original versions. Jackson Heights is reachable from Brooklyn via the G train to Court Square, transfer to the 7 local, and exit at the 74th or 82nd Street stations. Kevin Walsh is webmaster of the award-winning Forgotten NY and the author of Forgotten New York and, with the Greater Astoria Historical Society, Forgotten Queens.